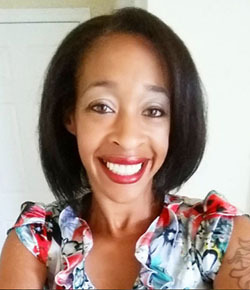 When I travel, I always get anxious because I want to keep my home safe while traveling because I don’t want to come home to a burglarized house. I’ve seen too many newscasts and tv shows to know that being diligent about keeping my home safe while I’m away is so important. Taking a few extra precautions when going on vacation helps me feel better about leaving and allows me to enjoy myself a lot more. Now that there is a lot of new technology available, I’m extra careful when I leave. Here are a some ways to keep your home safe while traveling, that you can use when you leave for your next vacation. Enjoy! I know this may be hard to do because you’re excited about your upcoming trip, but don’t announce it to the world. Even if your social media profiles are set to private, you still don’t know everyone’s intentions. If you do want to let others know, just play it safe and let only a select few know that you’re going to be away from home by telling them in person. Years ago you never had to worry about people finding you if you didn’t want to be found. Today, there are so many apps that allow others to track your location. It’s pretty scary when you think about it! Why would you want someone to know your exact location at every moment in your day? Turn off your location settings in your phone, so people won’t know that you’ll be away for a while. I know this is nothing new, but it really helps to deter the unwanted visitors while you’re away. While you’re home you turn your lights off and on throughout the day. 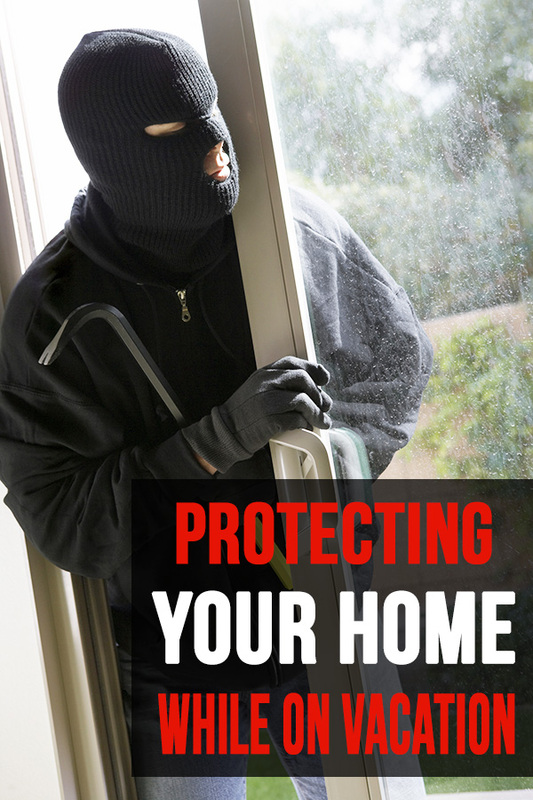 The first thing burglars look for are houses that don’t look lived in. If your house is dark for a couple of days in a row, then potential thieves will assume that you’re gone and may take advantage. So, please invest in some light timers ! An overflowing mailbox is a sure sign that someone isn’t home. You don’t want days or weeks of mail piling up in your box or newspapers on your doorstep! Call your newspaper’s customer service line to hold your subscription. Also, the wonderful people at the USPS have a service so you can hold your mail while you’re gone. The best part is that you can actually hold your mail by filling out a form online. There’s no need to stand in a long post office line! Related From The Kreative Life: How To Pack Like a Pro for Summer Vacation! This is one of the best tips to protecting your home while on vacation, but it may be a little hard to do because of apps like Instagram and other social media photo-sharing sites, but don’t do it! Yes, you may want others to see how beautiful your private beach is or that exotic meal you’re eating, but it’s just not worth coming back to an empty home. Share your vacation photos after you come home, so people won’t know that you’re away. Your house looks lived in while you’re there, so you want it to look lived in while you’re gone. If you can’t hire a house sitter ask a friend or a neighbor if they can check on your house. Also, get a service to cut your lawn while you’re gone and even to put out your trash can. Turning on your alarm and locking your doors may be the most obvious solution in deterring burglars, but with all of the stress of loading your bags and getting the family out of the door, you may forget to lock up. You may not realize it until you’re on the plane or hours down the road and there’s no possible way for you to turn around. There are alarm systems that allow you to lock up and even monitor your home through your pc or phone while you’re away. Now you can lock up with just a push of a button. Are there certain precautions you take when you travel? Very good post, I should probably take this advice a little more seriously! Sean recently posted…Win a $25 Gift Card to Wet Shave Club! Great tips! I always follow the social media ones and don’t post until I get back . I think you have covered everthing in this post and am sharing it on my FB page tomorrow so others can read it. SUE recently posted…A New Way To Relieve Stress? Keeping it off social media is SO hard not to do especially if you are a blogger and going on a media trip and they require you to use social media during your trip. I have always worried about this though. These are all great tips. You don’t want to have to worry about your house while you’re trying to relax on your vacation! This is pretty interesting! 🙂 I am traveling soon so this will definitely be very handy! These are all great tips. I know most of us are excited to announce it on social media when we are going for a vacation, but you just can’t trust everyone out there. These are awesome tips. I am so lucky to have an aunt who loves to volunteer to baby sit the house when we go away for a vacation. I’ve been thinking of getting an alarm system. It can’t hurt to have precautions in place. These are great tips. Its so hard not to post things on social media when you are excited to go on vacation but it can be so dangerous if you do. I think it is just smart not to post about where your at or not. I usually have someone at my house. Debbie Denny recently posted…Booker Blood Ring By John W Mefford! Review and Giveaway! These are great tips. It’s important to make sure our homes are safe when we are on vacations. 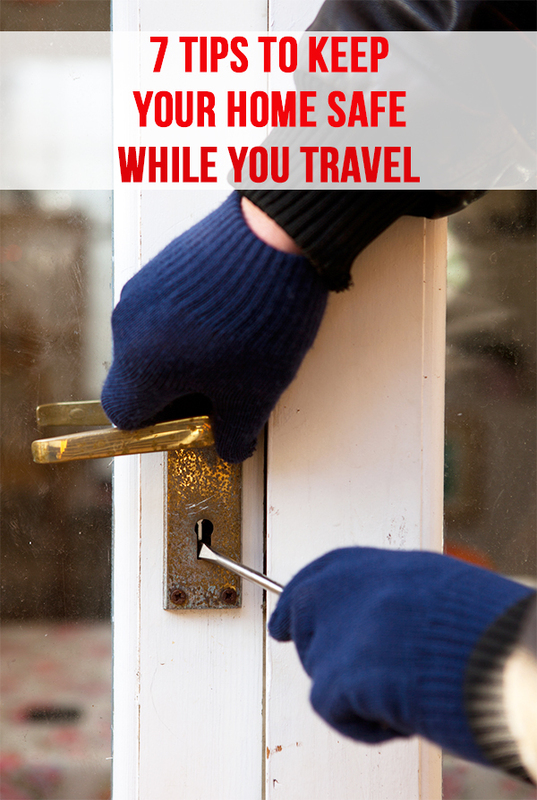 These are all great tips for keeping your home safe while traveling. The best way though, is to have an alarm system to give you that peace of mind. Thanks for the advice! Drew recently posted…Water Damage Is Expensive. Here’s the Smart Solution. Home safety is very much important for everyone, specially when we are travelling to some other place. But in today’s time, updating news feed about our travelling becomes a fashion and a status symbol. But people don’t realise that there are fake people on your friends book, who keep their eye on your activities and they are in a chance to get an entry at your place when you are out of town. I agree with you that we should not update our news feed on the social sites. Jerry Ortiz recently posted…Locked Your Keys Out of Your Car in San Diego?